You don’t need to be a world-class chef to enjoy cooking with this ultra-compact electric range by Danby. This attractive model may be just 24.25-inches wide, but it comes with everything you need for fine dining. 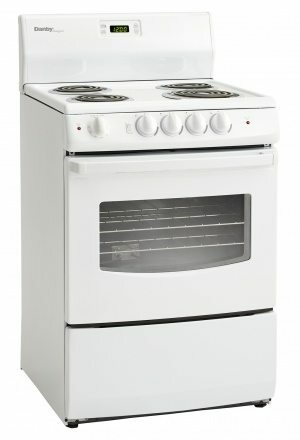 This includes an oven and four durable burners with one of them being an eight-inch coil element and the other three being six-inches. 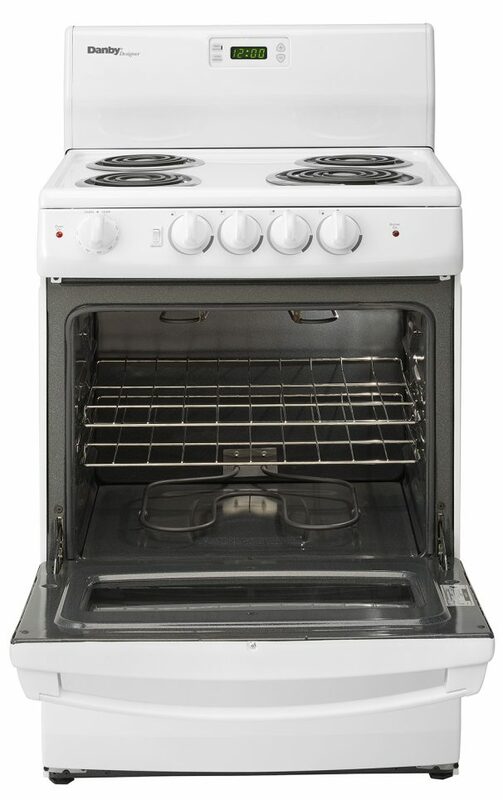 The trendy appliance provides 3 cubic feet of oven space making it ideal for smaller areas such as accessory apartments, or cottages. It boasts a spill-proof and easy-to-clean porcelain cooking top along with a large back-splash. The temperature range lies between 250°F and 500°F while the broiler can dish out 2,400 watts of power. 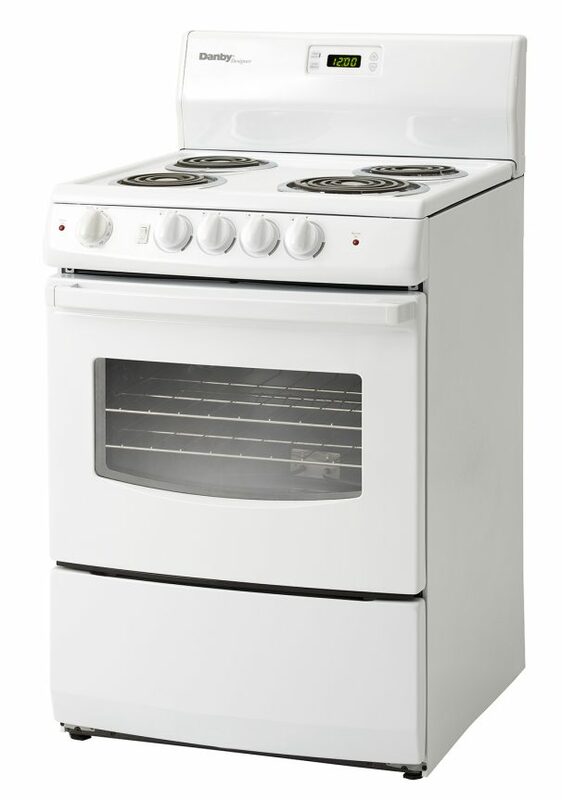 The dependable electric range comes with push-and-turn knobs for added safety and includes a sturdy oven rack with safety stops. 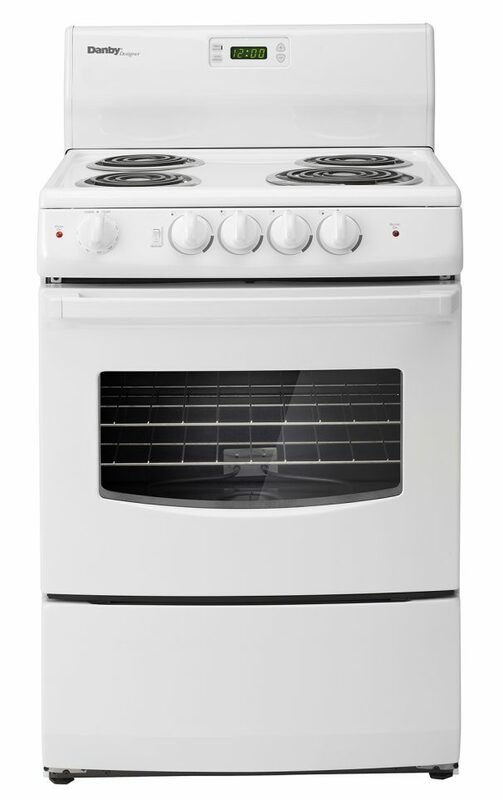 This modern electric range also offers an 18 month warranty on parts and labour with convenient in-home service. Includes 120v accessory outlet for small appliances.